Wow, it has been a long time. I often do this, and this is why I feared I would never read 50 books in a year. I go in these spells where I just don’t finish books. It often happens after reading a very large book (or large books in a row), such as this time, Ship of Destiny. 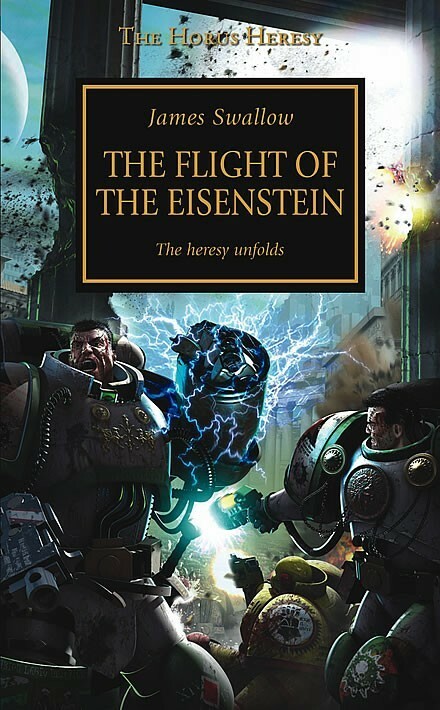 I finished The Flight of the Eisenstein quite awhile ago, but I didn’t post on it. This was a book that I have read in fits over the last year. I never disliked it, but for some reason, I always put it down. I am not sure why, but it always got put away for other books to be read. This story takes place concurrently with Ben Counter’s Galaxy in Flames. It is the story of Garro’s flight to Earth to warn the Emperor of Hour’s betrayal and move toward chaos. Overall, it is a fun read like the other previous three. It is not as good as the initial trilogy, and the writing voice of James Swallow in this book, does not mesh as well with the others, but it works, and it kept me engaged in the Horus Heresy storyline. I will be reading the next one, Fulgrim. This entry was posted in Reading and tagged horus heresy, reading, sci-fi, warhammer 40K. Bookmark the permalink.